Solomon Semere is a director of market planning at LexisNexis Risk Solutions. His role focuses on developing and executing the market strategy for the credit risk decisioning and marketing group, which includes the RiskView, FICO Score XD, and Profile Booster products. Prior to joining LexisNexis, Solomon worked as a senior strategy and operations consultant within Deloitte Consulting and held various roles in the insurance industry. 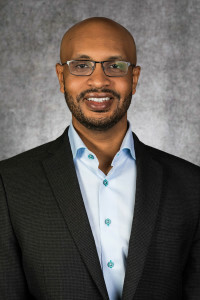 Solomon holds a MBA from Northwestern University’s Kellogg School of Management, where he was an F.C Austin Scholar, and a BBA with a concentration in Finance from Emory University.